A long time in the making, sf.citi is pleased to announce in our eighth year – time really does fly – the formation of the sf.citi Policy Advisory Committee. Established to empower sf.citi members companies to create meaningful change in San Francisco, members of the Committee work closely with the sf.citi team to guide our overall policy direction by developing an annual policy agenda and providing industry insight on new policy proposals and legislation. 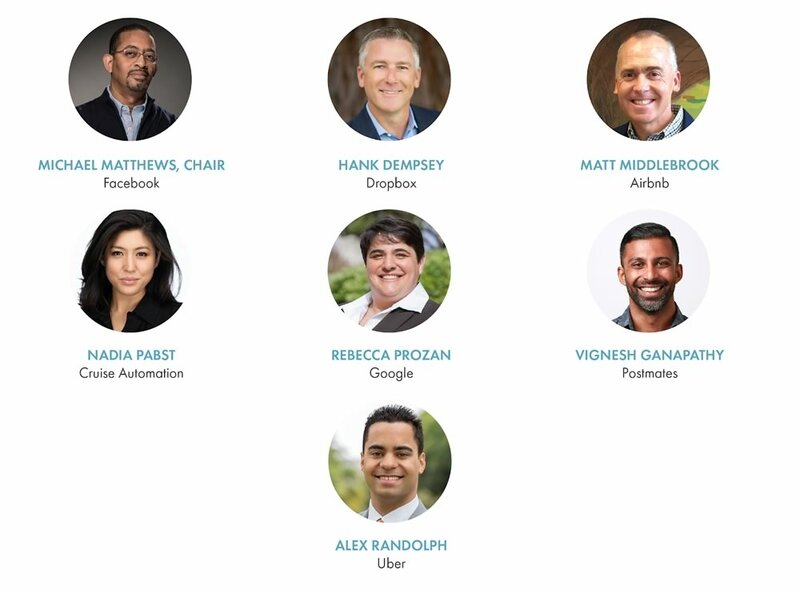 sf.citi’s Policy Committee includes seven representatives from different sf.citi member companies who meet on a regular basis to promote proactive policies that engage tech companies and offer innovative solutions to the various challenges facing our City. Each of our policy advisors brings extensive knowledge of the local political ecosystem, as well as unique expertise on San Francisco’s tech and startup scene – whether it be social networking, autonomous vehicles, cloud storage, and more. Task one for our Policy Advisory Committee was to work with the sf.citi team on shaping the 2019 sf.citi Policy Agenda. Integral to guiding the work we do at sf.citi, the policy agenda is set at the beginning of each year as the Mayor and the San Francisco Board of Supervisors reconvenes and lays out their own policy priorities. The sf.citi policy agenda drives our policy priorities, establishes a scope of our positions for current and prospective members, and provide legislators with clarity on where we stand on the most pressing issues in San Francisco. Whether through productive public-private partnerships or larger coalition building, more support is needed for all facets of upward mobility within the tech industry and pathways to connect disenfranchised communities to the many opportunities within the tech sector in San Francisco. The most pressing issue facing San Francisco today, homelessness affects far too many in our community. The tech industry and the City as a whole have an obligation to support efforts that address and aim to eliminate homelessness on our streets. Local and state policies must address our unprecedented housing shortage and affordability crisis. We can encourage diversity and inclusivity for all residents by passing more pro-growth measures and streamlining the housing development process. We all want to make San Francisco a better place to live and work, which means improving and strengthening our public and regional transit system while also incorporating more mobility options into transportation solutions. The City and other stakeholders must strike a balance between promoting industry growth and success while balancing the needs of all San Franciscans and industry employees. San Francisco should enact equitable, common-sense tax policies that promote innovation and continued job growth in the region. Dive further into the positions sf.citi has taken as well as pieces of legislation we aim to support in 2019 by checking out the full 2019 Policy Agenda below. The technology industry has established itself as a proven changemaker at the local, state, and federal level and it is our goal to continue this work through smart, meaningful policies in 2019 and beyond. As San Francisco’s leading technology advocacy organization, we strive to channel the power of the tech community to build a stronger city that encourages advancements in innovation, a thriving local economy, and access to opportunity for all San Franciscans.